Moonen Yachts is a luxury yacht builder in the Netherlands, building (semi) custom yachts ranging from 30 to 50 metres in length. At Moonen Yachts we understand and engage with our customers and deliver that piece of art perfectly fitting into personal wishes and styles. From the drawing board to the open seas, customers are guided through every strategic choice in the design and building process. Our team consists of driven professionals with an undying passion for yacht-building and a typical Dutch no-nonsense mentality. By taking a truly personal approach, we ensure you always get the best. We’ve been building luxury yachts for over half a century. Our rich heritage and original vision have been maintained and expanded throughout by a close-knit team of in-house professionals. By embracing past, present and future, we always strive to stay ahead of the curve. The 42m (137ft) super yacht Sofia (built 2013) has been re-launched earlier this week after an extensive 6-month refit at our yard in The Netherlands. The yacht is laid out for maximum comfort for entertaining, relaxation and having fun. Moreover, she is extremely quiet under way and showcases expansive living area’s with a contemporary interior: a full beam master stateroom, four opulent guest staterooms, a 7 person Jacuzzi, spacious crew areas and a private gym in addition (with Pullman beds to convert into a 6th cabin). She carries abundant water toys such as sea bobs, 2 large tenders, 3 jetski’s as well as a 3 person submarine to name a few… This long range go-anywhere luxury motor yacht is in pristine condition and ready for the season and now for Sale. Should you have any questions or wish to receive additional information, please do not hesitate to contact us by phone +31736210094 (yard) or email maarten@moonen.com. 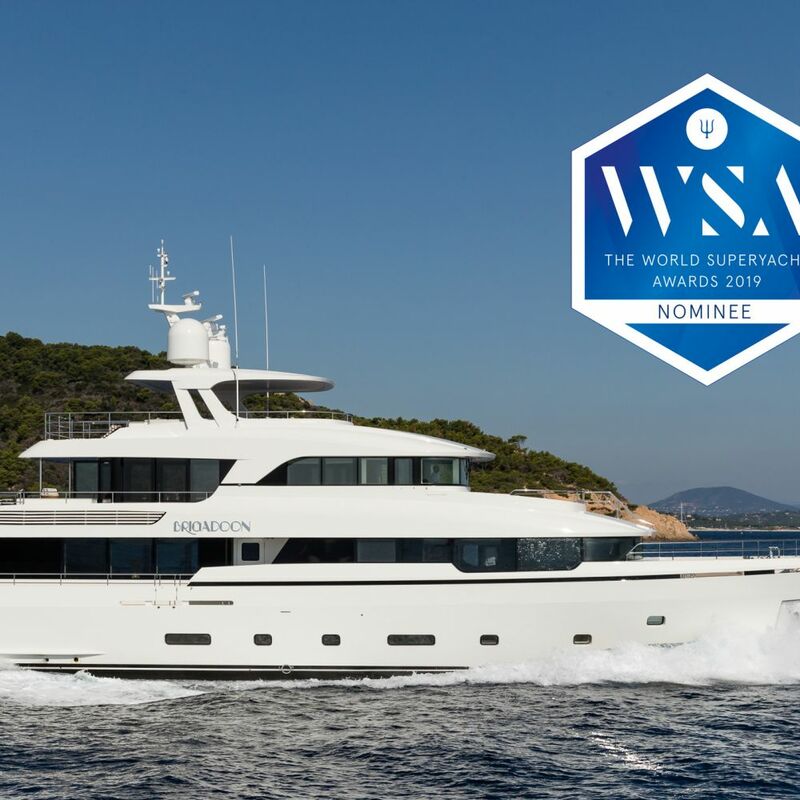 Moonen is excited to announce that the 36-metre superyacht Brigadoon has been nominated in the Boat International World Superyacht Awards 2019! Delivered to her new owners in Summer 2018, Brigadoon is the first hull in the Moonen Martinique line of Dutch-quality, oceangoing motor yachts. This years’ awards ceremony will mark the 14th edition of the annual World Superyacht Awards hosted by Boat International and will be held from 16th - 18th May 2019. The annual event will be hosted in London this year, with previous glamorous ceremonies of the high-profile event taking place in Florence, Amsterdam and Venice. A luxury yacht with heart & soulBrigadoon is the first yacht built on the semi-custom Martinique 36-metre platform and features naval architecture by Diana Yacht Design in collaboration with Réne Van Der Velden, with the latter also undertaking her exterior design. Nauta Design undertook her interior design together with Studio Indigo, who was responsible for the interior styling and decoration. The Moonen Martinique is one of four of Moonen’s proven superyacht platforms and combines proven performance and seakeeping abilities with the versatility of customisation. 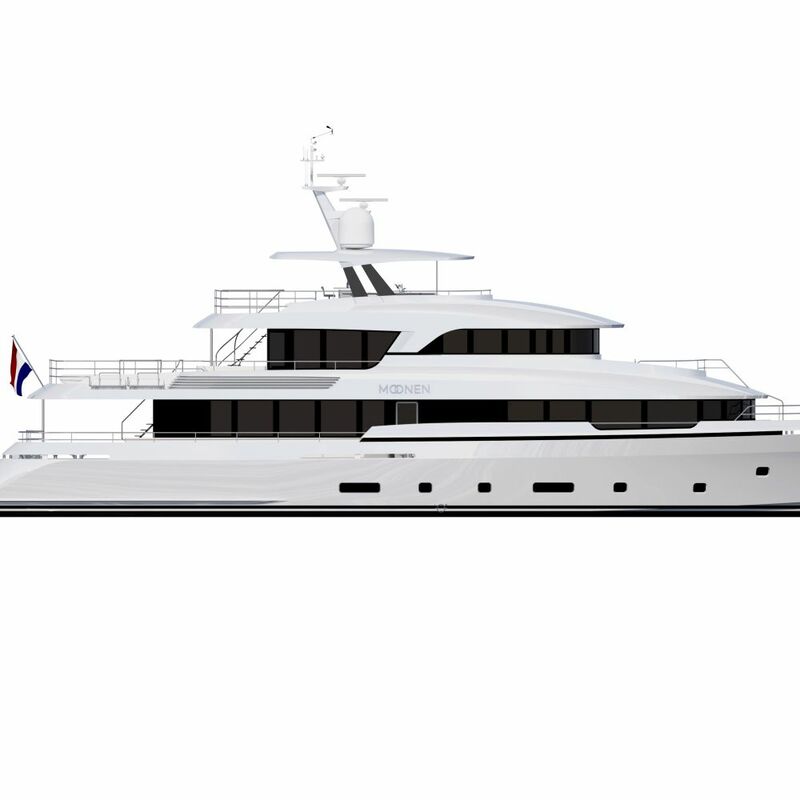 Talking of the creation of Brigadoon in close cooperation with her experienced yacht owners, CEO of Moonen Yachts, Johan Dubbelman, explains: “In the case of Brigadoon, the owners entered the construction process just three months before scheduled delivery. As such, the level of customisation possible was relatively limited. 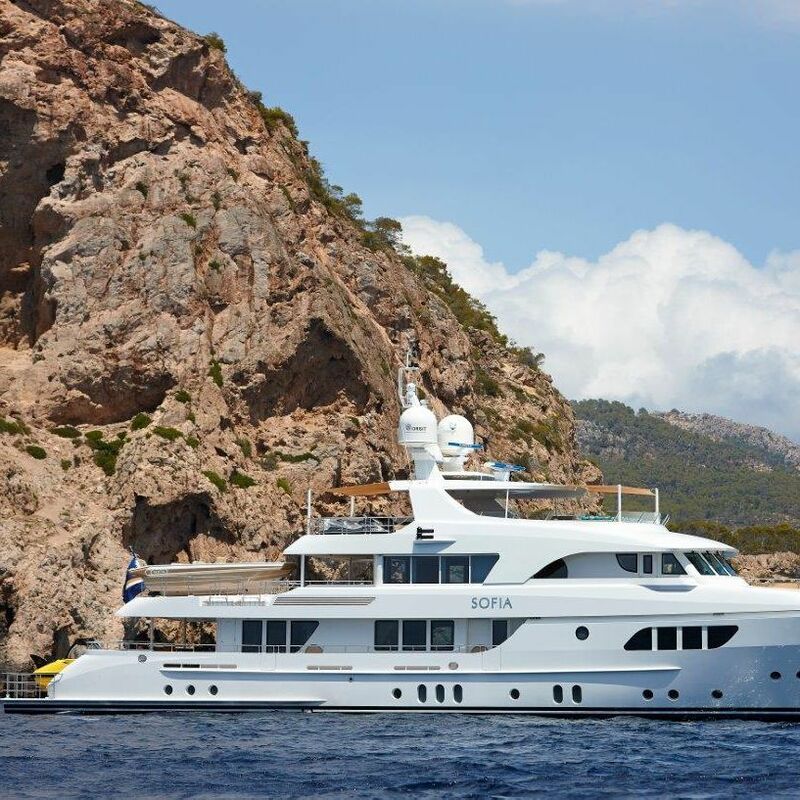 However, working tirelessly with the owner and his team, a number of significant modifications were able to be applied - including replacing the bimini on the sun deck with a hard top and removing the Jacuzzi.” The Moonen team worked closely with the London-based designers at Studio Indigo in these last three months to ensure the perfect interior design. “Combined with fantastic interior styling, the finishing touch from the owners together with Studio Indigo really gave the boat heart and soul,” Dubbelman continues. “We delivered a vessel that suits the owners perfectly and we’re honoured and delighted to be recognised for our work on M/Y Brigadoon as a finalist at the upcoming World Superyacht Awards 2019.” In regards to her technical features, Brigadoon’s hull is constructed from high-tensile steel and is teamed with an aluminium superstructure. With a focus on comfortable cruising and technical efficiency, she features a reduced construction weight which leads to higher speeds, lower fuel consumption and exceptionally low noise reduction levels. She achieved more than 16.5 knots on sea trials - an exceptional feat for a 36-metre steel-hulled yacht! World Superyacht Awards 2019The annual recognition of excellence in the yachting industry, the Boat International World Superyacht Awards are a celebration of the best of the best in the world of luxury yacht construction, design and engineering. Moonen’s 36-metre motor yacht Brigadoon is nominated for best yacht in the semi-displacement or planing motor yachts - 33m to 39.9m category. The whole team at Moonen Yachts is excited to be a finalist and looks forward to attending the Boat International World Superyacht Awards 2019 in May. To view all information you need to be logged in. If you are not a member yet you need to register first.